It is with utmost surprise and bewilderment that we discover yet another smear campaign move, this time on the part of the animal rights activist group, Anima, aiming to damage the worldwide known reputation of Loro Parque with their allegations about the level of welfare of the animals under our care, something that they by no means and in no measure are qualified to evaluate in the first place. We would like to remind these self-proclaimed activists that Loro Parque has been acknowledged as the best zoo in the world twice in a row by TripAdvisor. No other zoo in the World has ever achieved this. On the other hand, Loro Parque complies with all the Spanish and European regulations for zoos; we are members of all the relevant zoological associations (World Association of Zoos and Aquariums, European Association of Zoos and Aquariums, Iberian Association of Zoos and Aquariums, European Association for Aquatic Mammals and Alliance for Marine Mammal Parks and Aquariums). We have been also audited by American Humane and have been certified with the Humane Conservation Standard, which is internationally acknowledged as an independent Animal Welfare Standard. 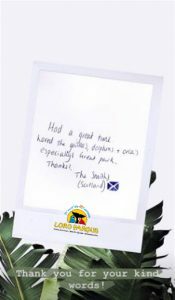 Loro Parque is also certified with ISO14000, ISO9000, EMAS and Biosphere Parks Animal Embassy. Despite that, we are continuously targeted by the anti-zoo groups with smear campaigns, but they have never succeed in proving any of their accusations. Thus, for example, the last animal mistreatment accusation made by PETA against Loro Parque was declared unfounded by the Spanish Environmental Police after a detailed analysis of all our facilities and procedures. We will be more than happy to confront any legitimate subject matter expert to prove the high level of welfare of all our animals, included the orcas. About Morgan, here is the link to the chronology of her rescue, rehabilitation and integration where anyone can get familiar with her extraordinary story https://www.loroparque.com/morgan/index_en.html. She was rescued when she was found almost dead in the Wadden Sea, and if Loro Parque hadn’t had the willingness to offer her a home, she would have been euthanized. With regard to her young calf, Ula, we have been totally transparent about the separation from Morgan, explaining to the interested public that she did not have enough milk to feed her. The veterinary team decided to temporarily separate Ula from Morgan in order to feed the calf, otherwise the young animal would already be dead, like it happens in many occasions in the wild, when the orcas are unable to provide enough food for their offspring. Thanks to the enormous effort of the veterinarians and caretakers, Ula is alive and doing very well, she has been reunited with her mother, nevertheless we are still bottle-feeding Ula as she still a calf. Furthermore, all the interested public can follow our regular publications about the progress of Ula and her mother Morgan on our social media. Going back to Anima’s ridiculous accusations, one must underline that the video used to advertise this petition was recorded 11 years ago during a veterinarian procedure (gastroscopy) that had to be performed in one of our orcas. At that time, this animal was not trained to perform this veterinarian procedure voluntarily, so that it had to be restrained to allow the veterinarians to diagnose the orca. This kind of restraining was only performed for veterinary reasons and this is why it is so important to train the animals in order to reduce the need to manipulate them. Nowadays this is not necessary as the animals have been trained to participate voluntarily in gastroscopic examinations. Accusations like this one will not change our determination to continue working for the welfare of every single animal in this world, and for the conservation of the biodiversity in a planet threatened by the sixth extinction as has been scientifically proven. 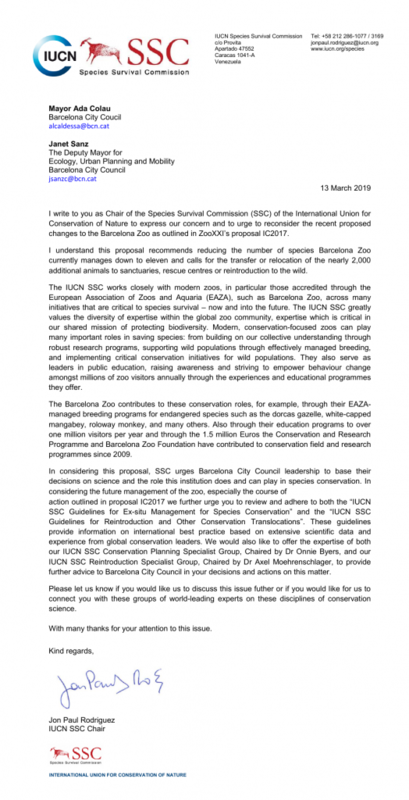 Already now with 700 million visitors in zoos worldwide it is clear that a zoo visit is a highly demanded activity which in light of the destruction of our nature and environment will become an absolute “must” in the future. Loro Parque, Siam Park, Poema del Mar, Loro Parque Foundation, Hotel Botánico & The Oriental Spa Garden and Brunelli’s Steakhouse are present for yet another year at the prestigious ITB Fair, which is held in Berlin, in order to publicise the latest developments in their leisure parks, amongst other firsts. The Loro Parque space can be visited at stand 206 in hall 2.1, from March 6 to 10, and there’s all kind of information available, as well as news and photographs. Also, in this edition of the ITB, Loro Parque has organised a press conference ‘The importance of the Modern Zoo’, presented by the specialist in wildlife conservation, Wolfgang Rades. The event had as guests the Vice-President of Loro Parque and President of the Loro Parque Foundation Christoph Kiessling; the President of the Federal Association of the Tourism Sector (BTW) Michael Frenzel; the GEOMAR Helmholtz Center for Ocean Research Kiel Doctor Boris Culik; and the Director of Karlsruhe Zoo Doctor Matthias Reinschmidt. The presentation took place on March 6 from 2:30 to 4:30pm, at M2, level 3, City Cube Berlin. 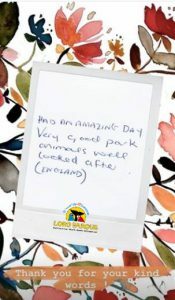 With this event, Loro Parque seeks to demonstrate the growing importance of modern zoological gardens for animal conservation and welfare, scientific research and education, and the tourism industry. Thus, the presentations give answers to questions related to its work as an animal embassy: how does a zoo contribute to the conservation of nature, why is its existence so important and why are cetaceans under human care perfect ambassadors of their fellows in nature? Recognised as the best zoo in the world for the second consecutive year, Loro Parque is an impressive animal embassy that offers the unique experience of getting to know wildlife as never before, with species and ecosystems from the five continents, from the lush Amazon jungle to the cold landscapes of Antarctica. Thus, visitors are able to discover the wonders and splendid beauty of the natural world without having to travel to all these corners of the planet. Among its main attractions are the impressive and educational presentations of Orcas and Dolphins, as well as the legendary Parrot Show, in addition to the shy Red Pandas, the majestic Lions of Angola, or the largest and most diverse Parrot Reserve in the world. New arrivals this year are the Pygmy Hippos, whose innovative home adapts perfectly to the needs of their species and the charismatic Ring-Tailed Lemurs, so beloved for their cinematographic trajectory. Another novelty is the Zen Garden exhibition, a space inspired by Japanese gardens and the majestic mountain ranges of Asia that can be seen in the AquaViva exhibition, home of the most spectacular jellyfish. 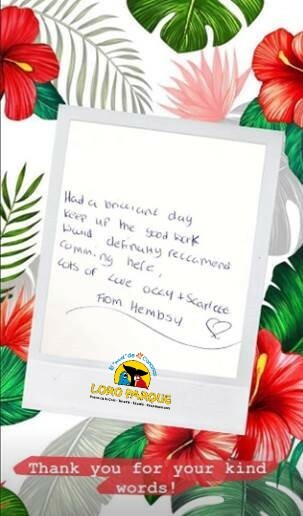 Thus, it’s not surprising that Loro Parque has a large number of worldwide recognitions, which reward its commitment to excellence and its absolute concern for animal welfare. In its more than 46 years of history and after having received almost 50 million visitors in its facilities, the Parque has been awarded the Plaque and Gold Medal for Tourist Merit awarded by the Ministry of Industry, Trade and Tourism of Spain, the Gold Medals of the Government of the Canary Islands, the city of Puerto de La Cruz and the Island Council of Tenerife, among other awards. Loro Parque is also the only company in the Canary Islands that has won the Prince Felipe Award for Business Excellence, as well as the only zoo in Europe that has the ‘American Certified’ Animal Welfare Certification from the respected American Humane organisation (USA). For Loro Parque, these recognitions imply a responsibility and it therefore has a clear mission for the protection of the environment. As a wildlife conservation centre, and through the Loro Parque Foundation, it has managed to save nine species from imminent extinction. Also, as part of this commitment, the Park has implemented in 2018 a strategy of elimination of single-use plastic, becoming one of the first zoos in Europe to replace plastic water bottles with others that are biodegradable and can be turned into compost, thus ceasing to generate single-use bottles as waste products. There is no doubt: Siam Park is the best water park that exists on the face of the earth, and it’s in Spain. This has been confirmed by the Travellers’ Choice Award, which Siam Park has received for five consecutive years thanks to the positive ratings of its visitors on the prestigious travel portal TripAdvisor. 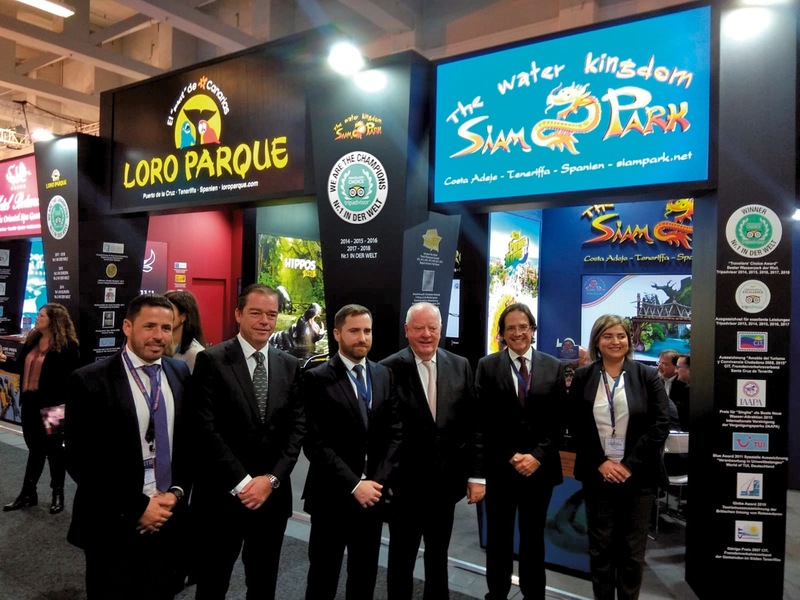 Siam Park is the only park that has achieved this distinction so many times in a row, and in fact the only one that has received this award since TripAdvisor inaugurated the Water Parks category five years ago. 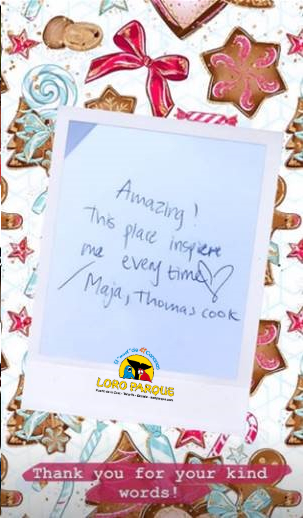 This repeated recognition is undoubtedly the result of constant innovation and reinvestment of the Loro Parque Company in all its projects, with which it always pursues excellence. In addition to being a benchmark in the TripAdvisor awards, it also has international recognition from organisations such as the leading publication and a reference point for the assessment of theme parks Kirmes & Park Revue, which has honoured Siam Park with the European Star Award for the Best Water Park in Europe for the sixth consecutive year, among many other awards. Siam Park celebrated its tenth anniversary in 2018 and has done so in a big way with the inauguration of two new and spectacular attractions. The first, Patong Rapids, is a new initiative by Siam Park that breaks all the moulds, surpassing the already incredible Mekong Rapids. The new ride is 235 metres long, including an area of complete darkness. With a capacity of 1,200 people per hour, it reduces to a minimum the waiting time to be able to enjoy to the maximum its incredible switchback curves, and includes impressive disc-floats that allow you to experience a unique sensation of speed and adrenaline. The second, Coco Beach is a new children’s area that allows the little ones to have great adventures in the company of their families. They will be able to enjoy new and incredible sensations in the latest swimming and wave-pool of over 1,000 m2, suitable for the little ones of the house and simulating the famous ruins of AngkorWat. The beauty of this park is, in itself, an incomparable attraction, and nothing is equivalent to being able to enjoy attractions unique in the world, in an unprecedented venture in an environment of lush vegetation and Thai design and decoration. Visitors will be able to experience first hand the sensations produced by the Tower of Power and its 28 metre high toboggan; Singha, and many other impressive state-of-the-art attractions without which a holiday in Tenerife would not be complete. And for those seeking relaxation in an exclusive environment, Siam Park offers Siam Beach, the most paradisiacal artificial wave beach in the Canary Islands, where the incredible waves of The Wave Palace break. Siam Park, located in Adeje, Tenerife, is a place where good weather and fun are guaranteed all year round and is therefore another must-see if you travel to the Canary Islands. 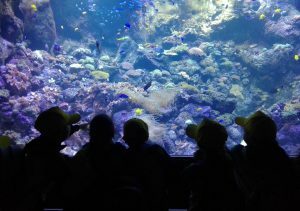 Poema del Mar, one of the most spectacular aquariums in the world, inaugurated in 2017, has turned the city of Las Palmas de Gran Canaria into a strategic location for tourism. Thus, just a year after its opening, this large aquarium offers its visitors a unique opportunity: to make a trip to the deepest ocean with its Deep Sea exhibition, which features the world’s largest curved window, 36 metres wide and 7.35 metres high, as well as 39 centimetres thick. With a total tank depth of 8.5 metres and 5.5 million litres of water, Deep Sea allows you to observe, in a unique environment, the wonders of the depths of the oceans, and the around 3,000 specimens of up to 40 different species that swim in its dark waters. 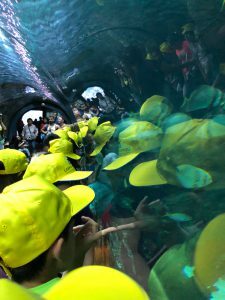 In addition, once inside the Aquarium, the visitor will begin the tour by immersing himself in the first of the areas, La Jungla, which reproduces landscapes from all over the planet in a tribute to the five continents. Arrecife will then invite you for a walk around a huge 400,000 litre water cylinder displaying a wide variety of coral and fish, and finally the aforementioned Deep Sea. Poema del Mar has a firm commitment to innovation, biodiversity conservation and excellence in sustainable tourism. It’s no coincidence that the authorities of the Canary Islands consider it an attraction “of strategic interest for the region” that reinforces the promotion of Gran Canaria, and the entire archipelago, as one of the best tourist destinations on an international scale. In 1994, Loro Parque consolidated its firm commitment to environmental work through the creation of the Loro Parque Foundation, an international non-profit organisation specialising in the conservation and protection of species of parrots and marine mammals, amongst other animals, which are in danger of extinction. Each year, thanks to Loro Parque’s funding of the Foundation’s operational costs, 100% of the donations received go directly to in situ and ex situ conservation and/or education projects. Thus, ‘100% for nature’ is not just a slogan, but goes much further: it’s a reality. Its numbers and results speak for themselves: more than US$19,600,000 invested in over 160 projects on five continents, and nine species of parrots saved directly from imminent extinction. In addition, the Loro Parque Foundation maintains a firm commitment to the marine biodiversity of the Canary Islands and dedicates a significant part of its resources to its protection through projects with the Loro Parque Foundation and the Poema del Mar aquarium, which in 2017 began its successful enterprise in the city of Las Palmas de Gran Canaria. A clear example of the Foundation’s work is the release of the six specimens of the Lear’s Macaw (Anodorhynchus leari) born in the facilities of the Loro Parque Foundation and moved last August to Brazil, for their reinsertion into their natural environment. They have managed to adapt to the harsh conditions of their habitat in the Caatinga and already fly in the wild. This parrot is one of the most important projects of the Foundation, which has managed to move its category on the Red List of the International Union for the Conservation of Nature (IUCN) from ‘critically endangered’ to ‘endangered’. Brunelli’s restaurant, located in front of Loro Parque, is to be congratulated because it has been named the “benchmark of great meats in the Canary Islands” by important gastronomic supplements such as Metropolis from El Mundo and as “the best meat restaurant in Tenerife” by TripAdvisor in 2018. Thus, since its opening three years ago, this establishment, styled after typical American steakhouses, has revolutionised the gastronomic offer of Puerto de La Cruz, in the north of Tenerife, with its impressive range of meats: Ávila steak, Black Angus ox entrecote, etc. -the best cuts cooked in a very special way. All this, thanks to the fact that Brunelli’s has an oven, unique in the Canary Islands, capable of cooking meat at 800º, and thus maintaining all the flavour and imbuing it with the juiciest of textures. Its offer is completed with an excellent wine list, varied desserts, a meticulous service, and the possibility of contemplating the best sunsets on the island from its large terrace which is open to the sea. That’s why Brunelli’s is known for having the best meat on this side of the Atlantic: in Puerto de La Cruz, in the north of Tenerife. The 5***** Grand Luxury Hotel Botánico ensures the highest quality by its inclusion in The Leading Hotels of the World group. Located in Puerto de La Cruz, in the north of the island of Tenerife, it offers incomparable views of Teide and the Atlantic Ocean. It also has an extensive collection of paintings by various Canarian artists that makes its customers feel that they are in a unique place. The Hotel has a wide gastronomic offer led by El Oriental, recognised as the best Thai restaurant in the Canary Islands, and Il Pappagallo, with its cosy terrace that offers live music every day. It recently received the TUI Holly 2019, Condé Nast Johansens 2019 award for the best hotel with a Spa in Europe and the Mediterranean, and HolidayCheck 2019, prizes which have arrived to add to an already extensive and impressive list of recognitions. Thus, the Hotel Botánico has seen its position strengthened once again, as a safe and quality choice when spending a holiday in Tenerife. Its offer of relaxation and beauty is revived in their exclusive Oriental Spa Garden, with new anti-stress and detox treatments, carried out with aloe vera and ayurveda. It also offers beauty treatments with the prestigious Dr. Krulig. An extraordinary holiday in one of the most beautiful environments in the north of Tenerife would undoubtedly be a real gift. Loro Parque has devoted special attention to World Wildlife Day, which this year focused on the incalculable value of marine life. To this end, activities were carried out throughout the week with the aim of promoting awareness and education about the immense diversity of species that inhabit the marine world and their importance to the ecosystem as a whole. 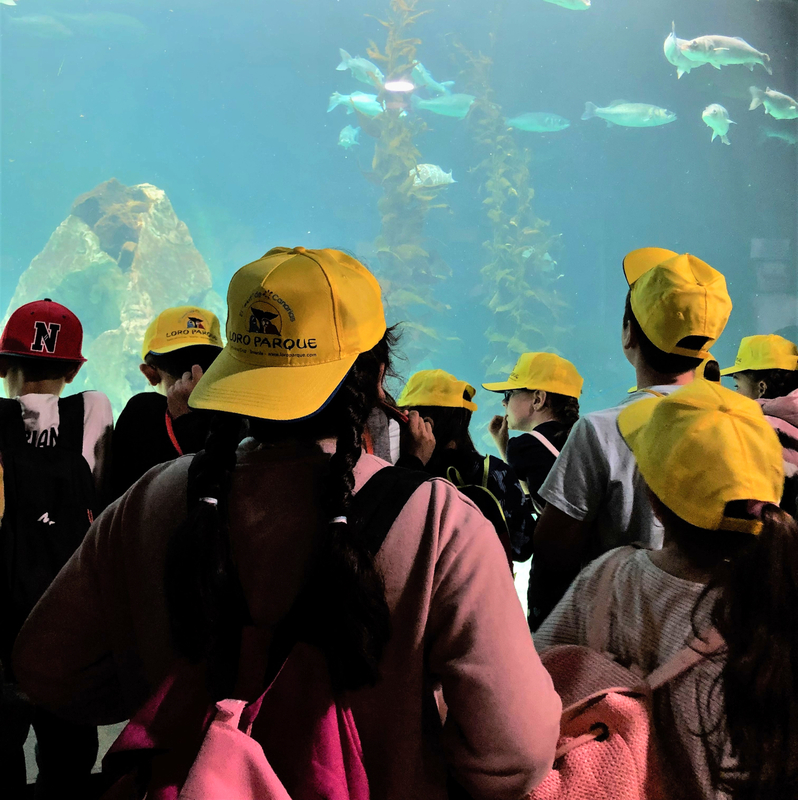 To this end, the Education Department of the Loro Parque Foundation has carried out different activities throughout the week, among which was a students’ guided visit to the Loro Parque Aquarium, where they discovered that the oceans hide an enormously rich biodiversity. 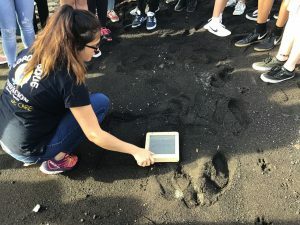 Thus, the students have learned about the immense variety of species that inhabit the sea and the various threats they face, such as over-exploitation, pollution, loss of coastal habitats or climate change. Within the actions of the Wildlife Week, the Education team has also made further visits to the coasts of the Canary Islands, continuing with the project ‘The Sand on Our Beaches. On this occasion, the Department of Education has travelled to three different Tinerfeñan beaches. There, 94 students of the Colegio Alemán and 25 from the IES Manuel Martín González have investigated the abundance of plastic and the factors that can influence its accumulation. On the other hand, an education campaign on marine life has been carried out in the Parque’s social networks. In this, curiosities are explained such as turtles’ markings or the importance of mangroves which act as natural filters, amongst other functions, preventing a large amount of organic matter from reaching the coral reefs. With these ongoing activities, Loro Parque reinforces its commitment to the protection and conservation not only of marine species but of all wild animals, which act in the Parque as true Ambassadors of their fellow creatures in the wild, helping to make visitors aware of the dangers they face.